How do you revitalize the downtown of a small, diverse California city struggling to boost business, shoppers and foot traffic and tamp down chronic problems like unemployment and homelessness? Three hundred high-school students from Japan have been lending a fresh perspective to downtown Berkeley, and will share their insights Wednesday with city leaders and the public. Meet the Japanese students and see their work on exhibit in the hallway. Graduation ceremony to follow at 3:30 p.m. Several students will speak, as well as City of Berkeley Mayor Tom Bates. Renewal is no idle interest for these teens from the Tohoku region of Japan, all touched by last year’s temblor and the ensuing tsunami and nuclear emergency. 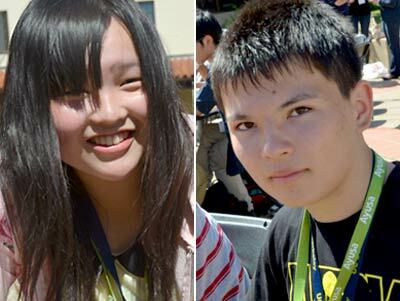 The students are wrapping up a three-week stay at UC Berkeley through the Tomodachi SoftBank Leadership Program, which seeks to empower youth affected by the 2011 disaster. During his stay, the 17-year-old has had ample opportunities to observe U.S. culture firsthand, to sight-see and to have fun — with a campus scavenger hunt, a major-league baseball game, a weekend home stay with a local family and a chance to meet the 1992 Olympic figure-skating champion Kristi Yamaguchi all as part of the busy itinerary. The visit’s educational core, however, has been an immersion experience in Y-PLAN, short for Youth – Plan, Learn, Act, Now!, a methodology for engaging youth in transforming communities and places. Early in their stay, they left their Wurster Hall classrooms to observe downtown Berkeley and its challenges. Later, on tours in San Francisco, they got a close-up look at innovative solutions to civic issues. One group, interested in energy and sustainability, spent time at the urban environmental-education center at San Francisco’s Crissy Field; another visited Yerba Buena Gardens to learn about innovative uses of public space, while others toured affordable housing. At TCHO chocolate factory, the focus was sustainable, fair-trade business. “I want to see the world,” says Shoko, left, of Fukushima. “Very scary” is how George Suzuki, of Sendai, describes the temblor that bent his home last year. He dreams of starting a company and being his own boss. (NewsCenter photos). The Tomodachi-SoftBank program involves a collaboration between Ayusa, a nonprofit that promotes global learning and leadership; the U.S.-Japan Council; the U.S. Embassy in Japan; and Y-PLAN. The students, chosen from among 2,000 applicants, received full scholarships from SoftBank, a Japanese telecommunications company founded by UC Berkeley alum Masayoshi Son, ’80. Other activities designed to build leadership skills and encourage a sense of public service included an afternoon at Clark Kerr Campus led by Berkeley students of the international service organization Rotaract. There, the 300 visitors helped assemble water-pasteurization indicators (WAPIs) — tiny devices that will be sent to developing nations to let people determine when their water has reached 149 degrees Fahrenheit and is therefore safe to drink. “This small thing is basically going to save lives,” said Jimmy Le, a recent grad and former Rotaract leader, as he helped a small group of Japanese students hammer plugs into WAPIs. On that assembly line, Shoko, a smiling teen from a devastated town, Fukushima, said she had enjoyed the campus scavenger hunt, where she’d won a Cal keychain, and was looking forward to the home stay. “I want to see the world. I want to know about American family lifestyle, culture and customs,” she said. Tokyo TV has been following the students during much of their stay at Berkeley, and McKoy is hopeful the media coverage may inspire adults back in Japan “to greet these young people with open arms” and welcome their participation in rebuilding from the disaster. Some of the students have expressed interest in incorporating art into Tohoku’s rebuilding, she says, or starting businesses or promoting community development and housing, especially for seniors. Others, inspired by the natural beauty of the Bay Area, have decided they would like to see their remote and beautiful region become a center of ecotourism. “It’s exciting that these young people want to be participants” in their region’s renewal, says McKoy.